This massage focuses on the release of tension and total relaxation by rubbing muscles with long, gliding strokes. This massage is beneficial for increasing blood flow and oxygen levels as well as improving circulation. Slow strokes and deep pressure work to release contracted areas of muscles and connective tissue. This massage is therapeutic and focuses on pain relief. Swedish/Deep Tissue combo with sesame oil infused with ginger and lemongrass followed by the soothing comfort of hot towels. Helps to relieve aches and muscle tightness. This session uses a variety of large and small heated stones, promoting deep relaxation and stimulation of blood flow and oxygen to muscles. This quick, yet highly effective treatment will cleanse, exfoliate and revitalize your skin in 30 minutes. 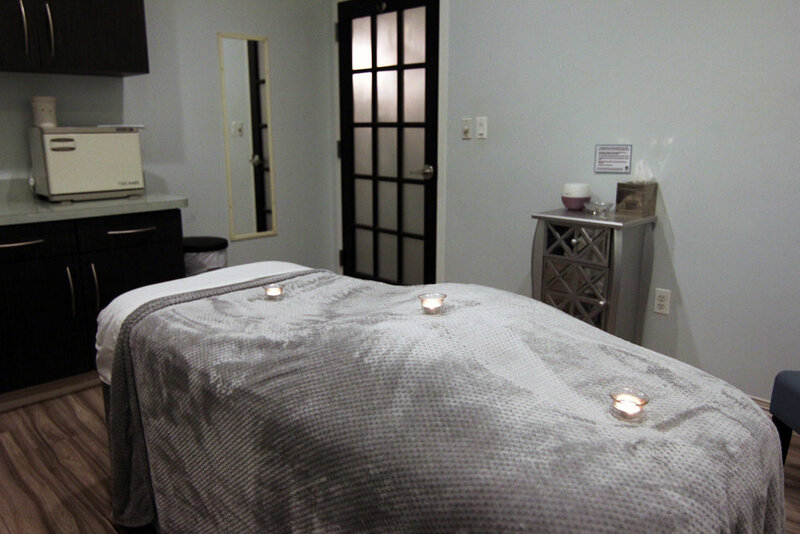 Have your pores deep cleansed and extracted or enjoy a rejuvenating facial massage. You'll experience a treatment that leaves your skin feeling clean and smooth. Rejuvenate your lips with this skin smoothing and soothing treatment. In this rejuvenating treatment, medicinal Chinese herbs and alpha hydroxy acids are applied to smooth and de-age skin. This series begins with a one hour facial customized to your skins needs followed by five-weekly 30 minute treatments to smooth and refine skins surface. Consultation required. Work personally with one of our technicians to achieve that "just off the beach" glow. *For best tanning results: Shower and exfoliate before tan. All waxing services, manicures and pedicures must be done prior to tan application. Wear loose fitting clothing. Do not shower, exercise, sweat or swim for 12 hours after application. First time massage? Download & complete this form and bring it to your appointment. First time facial? Download & complete this form and bring it to your appointment.